Dell Precision workstations are powerful and versatile tower workstations that are perfect for engineers, developers, designers, traders, or anybody needing support for graphically intensive applications and multiple displays. 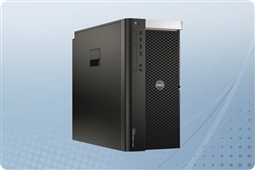 Aventis Systems offers Dell Precision workstations in a wide array of configurations and price points to fit just about any application and budget. 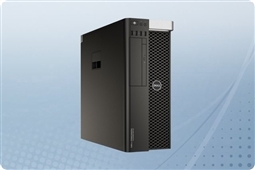 Each of our Dell Precision workstations offers custom configurations to ensure that your Dell Precision workstation is tailored to meet your workload demands as well as personal preferences. 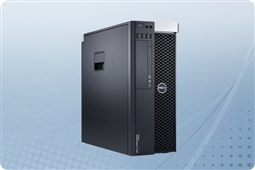 Choose from any of our Dell desktop workstations, with features including up to two Intel Xeon processors; up to 256GB memory; and up to four internal SATA, SSD, or SAS hard drives, with support for Microsoft Windows 7, Windows 8. All of our Dell Precision workstations are available with a 1-year Comprehensive Warranty, regardless of its condition. Workstations are also eligible for an upgrade to our 2-year Extended Warranty. Search our Dell workstations below to find the product that best suits your hardware and software needs! Browse our vast selection of Dell workstations as well as our HP workstations today!